I arrived in MO a couple of days ahead of schedule and settled in at my nieces place. It’s been a month of catching up with the family and also catching up on cleaning the trailer inside and out. I am also catching up on some much needed just hanging out time. I need to learn to do more of that while I’m on the road. I tend to get in a “gotta go and see it all right now” mode. 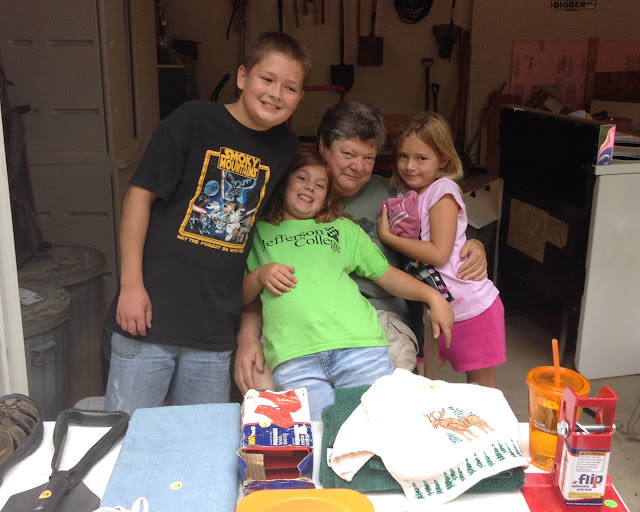 I helped my older sister with her garage sale and had some great help from my great nieces and nephew. My niece from Washington state came to visit with her husband and we attended a St Louis Cardinals baseball game with one of my other nieces. We have been very lucky weather wise. Mo is experiencing a cooler than normal August. It has been very pleasant. I have not run the air conditioner until today – Aug 27. I did take a day trip with my younger sister and niece. We went to see the estate of Pierre Menard in Ellis Grove Illinois. I read about Pierre Menard while visiting the headwaters of the Missouri River in Montana. He was a member of the Lewis and Clark “Journey of the Corp of Discovery”. I emailed a friend back in MO and jokingly ask if they were related since they had the same last name. As it turns out, they very well could be. They are both from the same geographic area. Small world. We returned to Mo on a little ferry that runs between Modoc Illinois and Ste Genevieve MO. I spent one afternoon in my older sister and brother in law’s back yard photographing the birds that come to their feeders. I will be attending my 50th high school class reunion this weekend. That should be a hoot. Waiting for the ferry to take us across the Mississippi River back to Ste Genevieve MO. It was a rainy day. Black-capped Chickadee - I think this little guy was sooooo very cute.